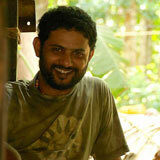 The Kadars are a small indigenous community in South India. Even though they no longer live deep in the forest, they still walk its paths every day. For them, walking is a way of knowing, not just a way of getting from place to place. This is the story of a Kadar elder who takes a young urban visitor through the tangled woods that make up his ancient home. 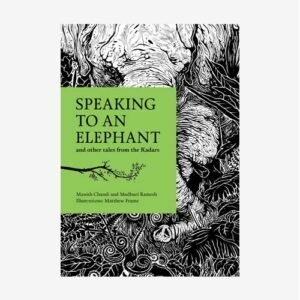 The book captures an urban nature lover’s experience of learning from a forest-dweller — and is beautifully illustrated to bring alive the dark richness of an lndian tropical forest. I found Walking is a Way of Knowing – In a Kadar Forest on the website of Tara Books and thought you would be interested. 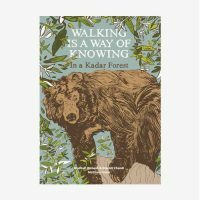 You can visit the page at https://tarabooks.com/shop/walking-is-a-way-of-knowing-in-a-kadar-forest/. Madhuri Ramesh is an ecologist who first met the Kadars when she went to study the secretive Travancore tortoise in the Anamalai Hills. 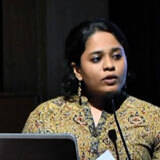 At present, she is completing her doctoral thesis on the political ecology of marine turtle conservation in Odisha, at the Ashoka Trust for Research in Ecology and the Environment (ATREE) in Bangalore. Click here to discover her other Tara Books. Manish Chandi studied Economics in the Madras Christian College, and went on to work on a doctoral thesis on the Nicobar islanders after spending two decades in the islands. He worked in the Valparai plateau on the Anamalai Hills along with the Nature Conservation Foundation during which he collected folktales from various Kadars he lived and worked with. Click here to discover his other Tara Books. Since completing his Masters in Communication Design at Central Saint Martins, artist Matthew Frame’s practice has focussed on how illustration can address the issues surrounding social cohesion in the globalised world. His emphasis on hand-drawn imagery and analogue production techniques inform his design outlook and underpin his distinctive approach to illustration. Click here to discover his other Tara Books. Beautifully illustrated and designed folk stories from an indigenous community in South India. Artist from the Bhil tribe in central lndia paints her community’s close everyday relationship to trees. A contemporary environmental retelling of the great flood tale, featuring Patua scroll art from Bengal.